The Inveraray Inn has an excellent dance floor and sound system meaning we can work with fantastic bands to create really memorable nights at the hotel. 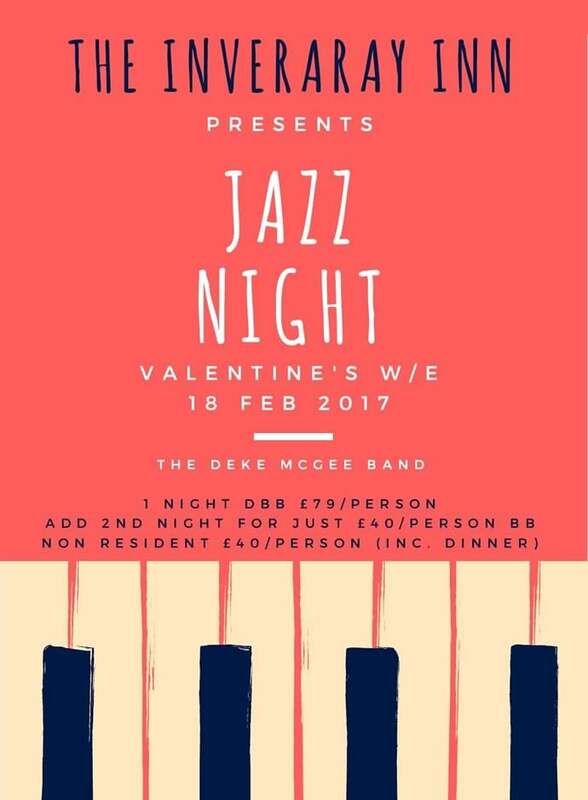 Our latest venture is to host jazz nights and these are proving to be very popular. Our jazz night package allows guests to enjoy a night's accommodation in our recently refurbished hotel as well as breakfast and a delicious pre-performance dinner. Later in the evening the band takes over and you can sit back and soak it all up - or get on your feet and dance! Please use the direct booking button above or contact the hotel by email or by phone to reserve your weekend with us. Loch-view upgrade available for £25.00/night supplement. Executive Double upgrade available for £35.00/night supplement.